Well, all good things must someday come to an end. For the last seven years, Coachella Starters has been our annual look back at the undercard acts that impressed us most at that calendar year's edition of the festival. But with both our kids off to college starting in the fall of 2019, Nancy and I decided the 2018 festival would be our last one for a while, so this year, we're going to combine our favorite undercard acts from 2017 with our favorites from 2018 and give this traditional mix the grand finale it deserves. As with all the Coachella Starters mixes, the goal is eclecticism, recreating a sense of the live fun and adventurous multi-genre, international feel that has always been the festival's greatest strength. And for those who might want to revisit past editions of this mix. 1. 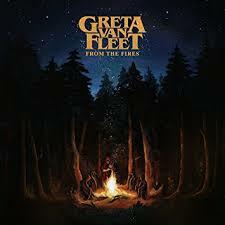 Highway Tune - Greta Van Fleet: If there's one shining star emerging out of today's contemporary music scene that could legitimately re-vitalize a passion for hard rock amongst today's younger listeners, it's this collective of classic-rock-loving brothers from Detroit. They can play and sing lights out, they just need to figure out how to differentiate themselves a bit more from Led Zeppelin if they ever want to truly be taken seriously. Still, as is, I can't deny how refreshing it is to hear something so balls-out Zeppish in this day and age as Highway Tune here from the band's 2017 mini-album From The Fires. 2. 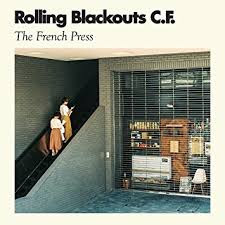 French Press - Rolling Blackouts Coastal Fever: This talented, up-and-coming Aussie quintet led by a trio of guitarist / singer / songwriters hits with a jangle pop sound that instantly calls to mind the genres past greats, from The Byrds, to REM, to Belle & Sebastian, and especially to their fellow Aussie's The Go-Betweens. They put on an charming set when I caught them Sunday at Coachella 2018, and no song struck me more that day than this title track from their 2017 The French Press EP. 3. 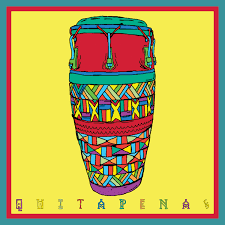 Valle Moreno - QUITAPENAS: Though just a tiny regional act out of San Bernadino, California, Latin act QUITAPENAS put on one of the most entertaining sets my kids and I saw at Coachella 2017, a set that also enjoyed some of the best crowd interaction I've ever seen at a festival, culminating in a conga line during the bands closing number that felt like it got over 500 people long. 4. 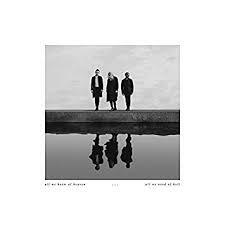 Heaven - Pvris: One of the most impressive live acts Nancy and I caught at the 2018 festival, this Lowell, Massachussetts power trio combines dark electro-pop with surging, arena-sized mainstream rock and then channels it through their multi-talented lead singer and principal songwriter Lynn Gunn. This song comes from their glowingly reviewed 2017 release All We Know Of Heaven, All We Need Of Hell, and like most of the material from the album, deals with Gunns experiences coming out as a lesbian to family and friends. 5. Le perv - Carpenter Brut: One of the weirdest acts I've seen at the last two festivals, Carpenter Brut is the performing name for the mysterious, horror-film-loving Frenchmen Franck Hueso, a synthwave artist in the vein of Stranger Things-composers S U R V I V E who adds heavy doses of metal and industrial rock to his electronic compositions, and then performs them accompanied by projected montages of the goriest moments of various grindhouse films. This track comes for 2017's Triology, a collection of three earlier released EPs. 6. B Boys Anthem - B Boys: This young Brooklyn act has the late-70s/early 80s art-punk vibe of Wire and Gang Of Four down cold and are already very good on record. Too bad they got stuck with a super early set time in that 2018 Coachella graveyard known as Sonora Tent and played to the sparest crowd I saw all weekend. 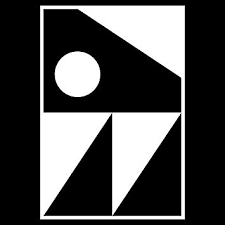 This track comes from their 2017 sophomore full-length Dada. 7. 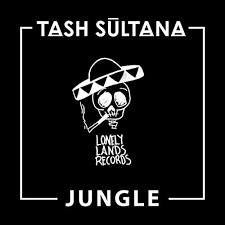 Jungle - Tash Sultana: Melbourne's Sultana is a young solo artist who performs in the manner of K.T. Tunstall/Tuneyards, utilizing live tape loops to build up her songs one instrument at a time. 2016's Jungle is to date her most popular song. 8. 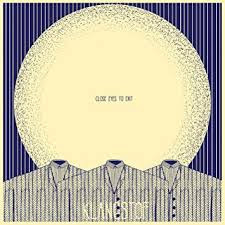 Hostage - Klangstof: The first Dutch act to ever play Coachella, this promising group of Radiohead devotees was one of the first two or three acts I caught at 2017 festival. This track comes from their 2016 album Closed Eyes To Exit. 9. Love Is Short - Otoboke Beaver: This band is an experience. An all-female punk quartet, their whole shtick is basically to shriek and scream Japanese profanities at their audience for the full duration of their Ramones-length sets. All I can say is, it's way, way more entertaining than it sounds, a must see live if they're ever at a fest your attending. This song is the title track to their 2017 EP of the same name. 10. 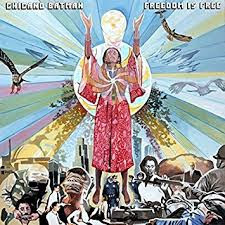 The Taker Story - Chicano Batman: A Coachella repeat act, this Los Angeles band returned to the polo fields in 2017 to promote their excellent new album, Freedom Is Free. This song from it perfectly captures the album's loose, winning, Latin/psychedelic-rock vibe. 11. 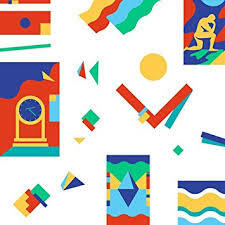 Pork Soda - Glass Animals: The popular Oxford-based art-pop act found their careers in ascendance in 2017, landing third-line for their day on the festival poster, and then being upgraded again with a 6 pm Main Stage set time, traditionally one of the five most coveted daily stage/time slots at the festival. 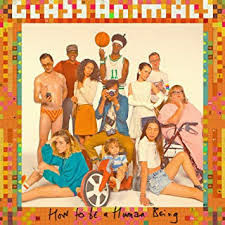 This song here was their biggest hit from their Mercury Prize-nominated 2016 release How To Be A Human Being. 12. 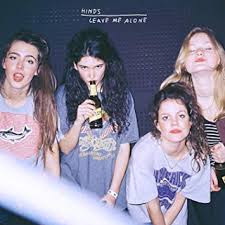 Castigadas En El Granero - Hinds: Hinds is a quirky, energetic, all-female indie/garage act out of Madrid, Spain. This track here comes from their well-reviewed 2016 release Leave Me Alone. 13. 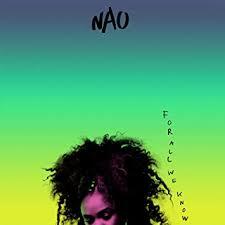 Blue Wine - Nao: This gorgeous-voiced Brit took a while to get her career going, starting out as a backup singer for the likes of Jarvis Cocker and spending half decade as a member of the female a cappella act The Boxettes before finally bringing attention to herself as a featured vocalist on popular songs from the likes of Disclosure and Stormzy. This track is my favorite from her 2016 debut album For All We Know. 14. Born To Be Free - X Japan: This legendary, 30-years-running hair-metal band is the most popular rock act in Japanese history, quite literally their Beatles/Stones/Led Zeppelin. So what does Coachella do after finally booking these guys and flying them halfway around the globe to play in 2018? Schedule their entire set against Beyonce, ensuring virtually no one at the festival makes an attempt to see them. Go figure. So in our own small attempt to repair the Trump-level international relations damage caused by the scheduling move, we're going to feature X Japan's popular 2015 single Born To Be Free here and leave Bey completely off this mix😉😉. 15. 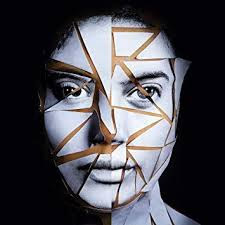 I Wanna Be Like You - Ibeyi: This beautiful little song of sisterly admiration, the best song from Ibeyi's 2017 second release Ash, was one of the vocal highlights of the entire Coachella 2018 weekend. 16. 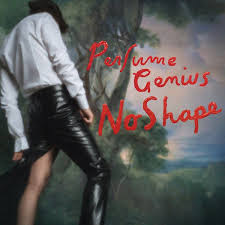 Valley - Perfume Genius: Here's another track from Perfume Genius's 2017 release No Shape, which he presented live in his second Coachella appearance in 2018. 17. 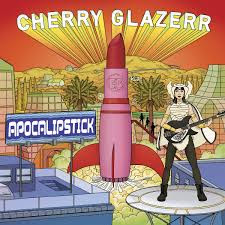 Told You I'd Be With The Guys - Cherry Glazerr: A super young rock act out of Los Angeles that, though barely out of high school, has already released two EPs and two full lengths, I caught them in the Sonora in 2018 and came away impressed with charismatic lead singer/songwritir/guitarist Clementine Creevy, who is just an old-school rock natural. 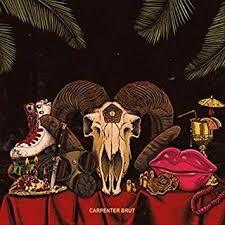 This song here, a nifty slab of garage, was the lead single from their second full-length, 2017's magnificently titled Apocalipstick. 17. 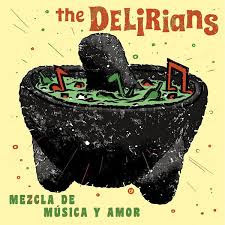 I Really Love You - The Delirians: One of my favorite sets from the last Coachella day I'll be attending for some time, the relaxed, East LA Ska vibes the Delirians summoned in their early Sunday 2018 set went down just as easy in the Sonora tent as they do here on this cut from their 2017 Mezcla de Musica y Amor EP. 18. Blanket Me - Hundred Waters: Another 2018 victim head-to-head Beyonce scheduling, this highly regarded electronic act was forced to play their stunning, intricate numbers like Blanket Me from their 2017 album Communicating to an almost empty tent. So as with X Japan, giving them a plug here. 19. 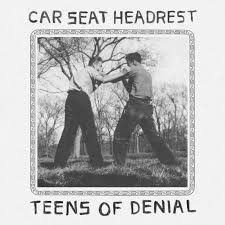 Unforgiving Girl (She's Not An) - Car Seat Headrest: Okay, truth be told, Car Seat Headrest did put on one of the best sets I saw in 2017, but the main reason I close with them here is it allows me to squeeze in one more track from one of my favorite albums of this decade, their fantastic 2016 indie-rocker Teens Of Denial.